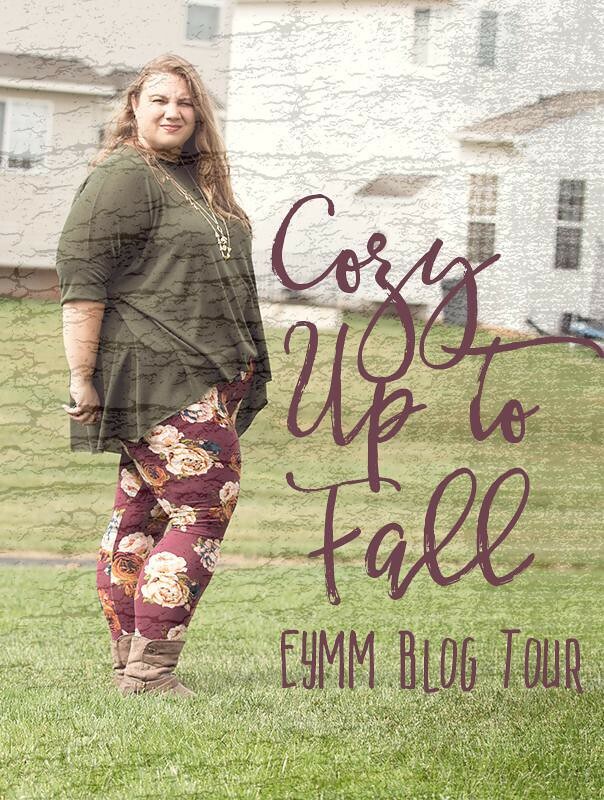 The EYMM Fall Blog Tour was the perfect opportunity to knock a couple of items off my long todo list. This blog tour comes with a fun opportunity to win a $20 EYMM gift card as well. Keep reading to find out how. First up is the Piko Top. This relaxed dolman top was probably one of the first 10 PDF patterns I’ve purchased. But like so many others, I never managed to get around to sewing it up. Now that I have, I won’t be waiting so long to sew up another one. Between the buttery soft sweater knit and the relaxed style, this is one cozy sweater that will get a ton of wear this fall. This pattern is full of options. I chose to make the high-low hem option with 3/4 length sleeves that were shortened due to a miscalculation. The piko top is also a great base to use to hack a popular MLM Clothing company’s Erma top. Next up are the Get Moving Leggings. I’ve been nervous to try making my own leggings, but these were amazingly simple and the fit is spot on. These come with 5 different lengths and 3 different waistbands and an optional gusset. I made the contoured waistband and these are the most comfortable leggings I own. 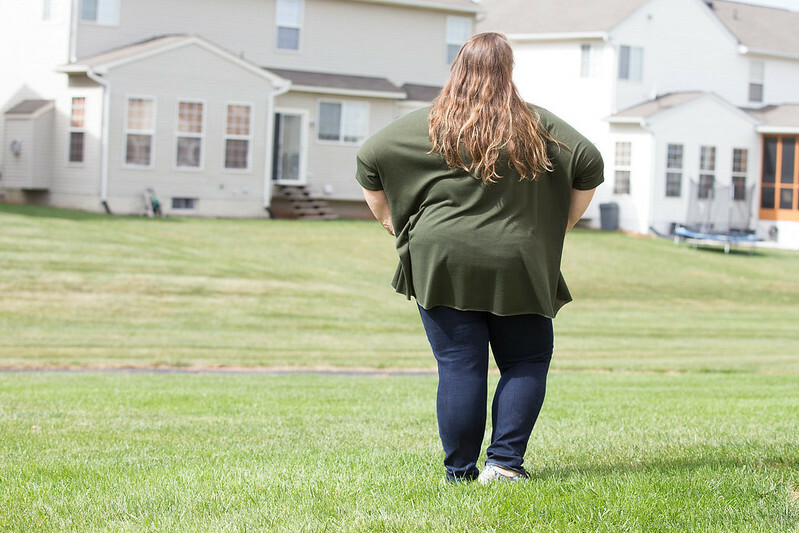 One other awesome feature is the measurement chart — not only are hip and waist measurements included, but thigh, calf, ankle, and crotch length are included. Having all these measurements helped ease my mind that I was going to end up with a pair of leggings that fit. During the tour, all featured patterns are on sale (save even more by buying the youth/adult bundles!) … the Four Seasons Cardigan (both women’s and girl’s), the Piko Top (both women’s and girl’s), and the Leggings Bundle (‘Get Moving’ Leggings for women and Jocelyn’s Leggings for girls). Use coupon code FALL17 to save 30% off these 6 patterns and/or 3 bundles in the EYMM shop, but only until 11:59pm on October 11, 2017. I’m so excited that as part of this tour I get to give away a $20 EYMM gift card. Entries close at the end of the blog tour. The back elastic ended up taking a lot more time than I was expecting, but I love the results. This is an easy to sew pattern with tons of options for variations. 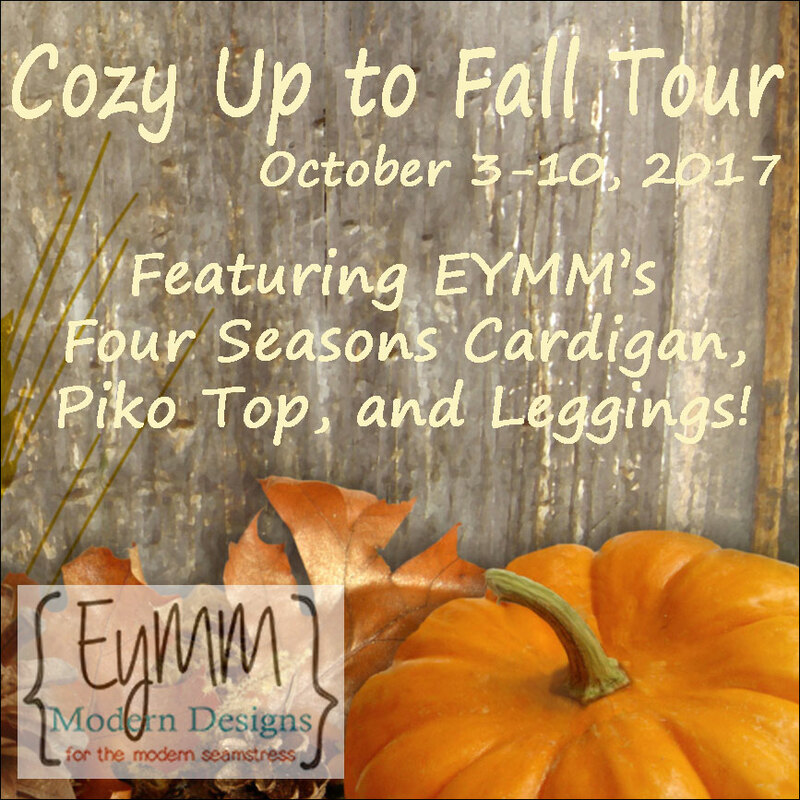 Pingback: Cozy Up to Fall with EYMM! I love your Piko top and it is now on my list. I plan on making another Four Seasons Cardigan for myself, some long sleeved tops for my son, and some pants for my other son.